The misbehaving pets in this story made me giggle. Both Cora’s cat and Drew’s dog had minds of their own. The only thing funnier than seeing how these pets interacted with the world around them was seeing how their owners responded to their hijinks. I enjoyed every single scene that mentioned the silly dilemmas the animals ended up in and showed how the human characters tried to take control of the situation. I would have liked to see more attention paid to Cora and Drew’s speaking styles. They had such similar ways of thinking about the world that I had trouble telling them apart even though the different chapters always began with a note about which narrator was now sharing their tale with the audience. Life had taken them down such different and yet equally interesting paths that it should have been much easier to tell who was who. The dialogue was a lot of fun. Both of the main characters had a quick wit, and they weren’t at all afraid to use it. What I liked the most about their exchanges was how quickly they moved from playful to serious moods. These conversations reminded me of what it can be to talk to other intelligent people in real life because of how much effort Drew and Cora put into thinking of their next quip. They definitely kept each other on their toes with their snappy comebacks. 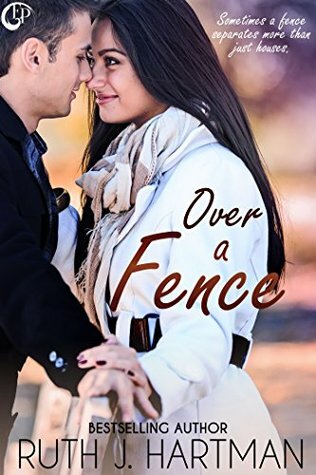 Over a Fence is a good choice for anyone who is in the mood for something lighthearted.